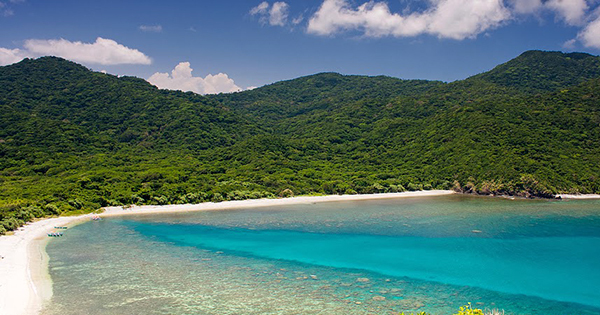 The beautiful Palaui Island is a gem that is located in Santa Ana, Cagayan Province, Luzon in the Philippines. The people there are ultra mega friendly; the hiking towards Cape Engano Lighthouse is extraordinary; the view of its landscape will ultimately take your breath away; the cool unpolluted air is oh, so stunning! What is more, the sea surrounding this beautiful island is blue and crystal clear, you and your buddies can enjoy great snorkeling as well as stargazing! Just don't forget to prepare for your powerful get up and tools: long sleeved shirt, cap, shoes with a good grip, a liter of water, snacks, camera, off-lotion, power bank, and tent -- since this paradise island depends solely on nature; thus, it is without resorts, electricity, and other modern conveniences. Now, how do you get to experience this once in a lifetime adventure? Via Bus from Manila: Take a bus that is headed for Santa Ana, Cagayan and travel for about 16 hours. The bus companies to check out are Victory Liner, Florida Bus Liner, Partas, etc. Another way to get there is via a bus headed towards Tuguegarao; after which you can take a van going to Santa Ana, in Cagayan. Via Airplane: Take a plane ride headed for Tuguegarao, if you'd like to reach Cagayan a lot faster; and upon reaching the airport, go to the highway leading to Santa Ana. Cross the street and hop onto a van or bus bound for Santa Ana, Cagayan. Where to go upon reaching Santa Ana Cagayan: Your bus/van, will halt at the Santa Ana Market -- so go right ahead and buy your food, water and other essential items there. Get on a tricycle going to Santa Vicente port. From there, pay for a boat ride going to Palaui Island. We highly recommend that you sign up for a tourist guide so as not to get lost. Take note that these boats from San Vicente, can take you to Cape Engano Lighthouse right away, if the sea is calm and you don't like to take on trekking in order to go there.